African-American actor Darris Love claims he was racially profiled when police took him into custody at the Glendale Galleria on June 6. Officers had mistaken Love for a robbery suspect. Patrick Healy reports for the NBC4 News at 6 June 12, 2018. The man seen running through Glendale's Americana at Brand before his arrest said he was hurrying to get his parking validated, not fleeing a crime, but it was several hours later before law enforcement believed him and released him. 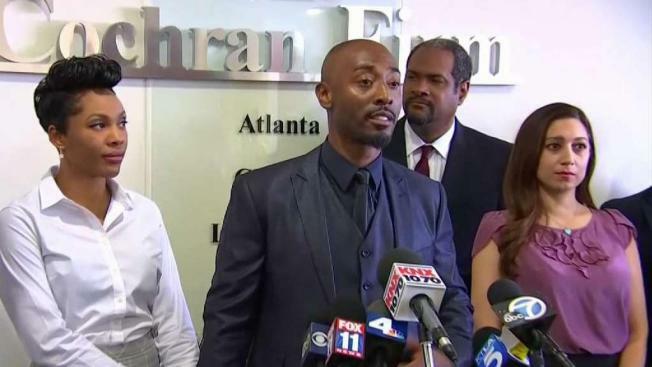 Now Darris Love, an actor with two decades of film and TV credits, asserts racial profiling led to his arrest last Wednesday, and Tuesday his attorneys signaled their intention to file legal action. "He was absolutely targeted," said attorney James Bryant. Love, 38, was arrested in the midst of a search for a knock-knock burglary suspect who had been under surveillance by a team with the Major Crimes Bureau of the Los Angeles Sheriff's Department, according to a Department statement. The suspect was seen leaving a house burglary in Tarzana. Los Angeles Police took up the chase, and Glendale Police became involved when the pursuit ended in the city's shopping district, where one or more suspects abandoned their BMW and took off on foot. Love and companion Ayesha Dumas, 39, had gone to the Apple Store a block away and were about to depart the Americana when Love realized he had forgotten to validate their parking, he said. With Dumas in the line of cars waiting to exit the parking structure, he ran back to get the validation, en route noticing the law enforcement, and deciding to slow to a walk. "The split second I did, police behind me yelled, 'freeze before we blow your head off.'" Love said officers ordered him to the ground at gunpoint, and at one point one put his knee on Love's neck. Love "closely resembled" the suspect seen leaving the Tarzana house in a hooded sweatshirt, according to the Sheriff's Department statement. Other personnel went to the parking structure and detained Dumas, and with her permission, searched her car. Dumas said she was threatened with arrest as an "accessory," and believes their focusing on her resulted from racial profiling. Love recalled being held in the back of an LAPD car, and at one point seeing a plainclothes sheriff's deputy identify him. "That's our guy. Book him," Love recalled hearing. Love said he showed his parking stub to the law enforcement personnel and told them security camera video at the Apple Store would verify he had been there shopping during the time of the pursuit. He was transported to LAPD's West Valley station and held there while personnel did follow-up. During the evening, they determined Love was not involved in the burglary or pursuit, and released him, offering him a ride home. Love praised those officers, but believes the Sheriff's team should not have waited to check the store or mall security camera video that exonerates him. "Should have taken 10 minutes to look at the video," Bryant said. Another of Love's attorneys, Brian Dunn, said they have no way of knowing what led the member of the Sheriff's team to insist Love was the suspect, but contends, whatever the reason, it amounts to negligence or worse. Dunn indicated a claim for damages from false arrest will be filed with Los Angeles County. "I just want to remind you, it's not a crime to run through a parking lot," said Melinda Abdullah of the Black Lives Matter movement. Love's acting career took off as a teen when he starred in the 1990's Nickelodeon series "The Secret World of Alex Mack." His credits since then include CSI. 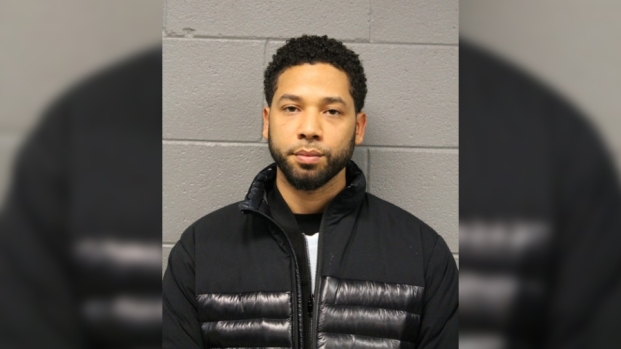 His arrest was captured on camera and aired on at least one television station. He said Tuesday the incident "wears on my peace of mind" and he's had a hard time sleeping. Love said he launched a campaign called #IAmNotASuspect, in the hopes of ending the negative perceptions of black males. "I never wanted to play the negative ganster roles cause why perpetuate stereotypes that leaves the black male looking as a suspect," Love said. "And that's why the I Am Not a Suspect campaign is very big. We are going to kill the negative stereotypes, and negative narratives and perceptions of us with your help." The actor made a point of thanking officers at the LAPD's West Valley division. "My message today is to let everybody know that there are good police officers, even under bad circumstances," Love said. Officer Mike Lopez of the LAPD's Media Relations Section said the department had no immediate comment on Love's detention and eventual release. 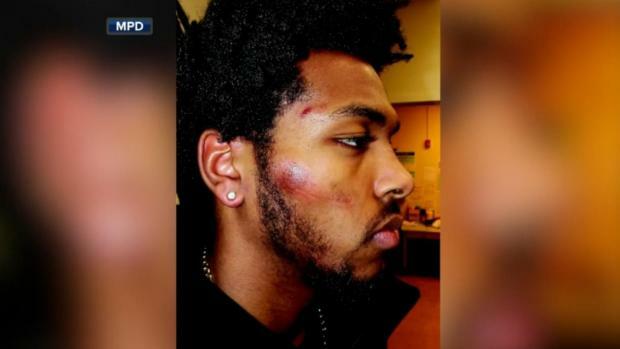 Milwaukee police have released more body camera footage of the violent arrest of Bucks player Sterling Brown, including portions of where officers discuss "protecting ourselves" and the likelihood of a "media firestorm."